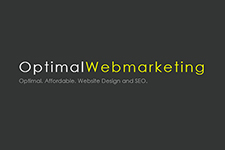 Optimal Web Marketing is a small Birmingham based business that specialise in website design and marketing. We offer an affordable bespoke service to cover all your website needs. Our aim is to provide optimal and affordable website design packages that meet the specific needs of the business or individual. Or bespoke service not only assess what you need now but also what you may need in the future. Whether you are a business, individual or club we are here to help. At Optimal Web Marketing we listen to out clients and offer them a tailored service to suite their needs. We understand that not everybody is an expert when it come to designing their own website so we strive to make the process as easy as possible.